The founder of Android Police and APK Mirror, Artem Russakovskii, was among the guests at Google’s hardware launch in San Francisco. Like many of us, he received a gift from Google as he left. The pre-release Google Home Mini is to be the second Google Home product in the #madebygoogle lineup followed by the upcoming Google Home Max. After a week of use, I find my Mini to be performing in a manner worthy of its $49 price tag and more. However, Artem stumbled upon a relatively serious issue with his and what now appears to be all of the Mini smart-speakers. 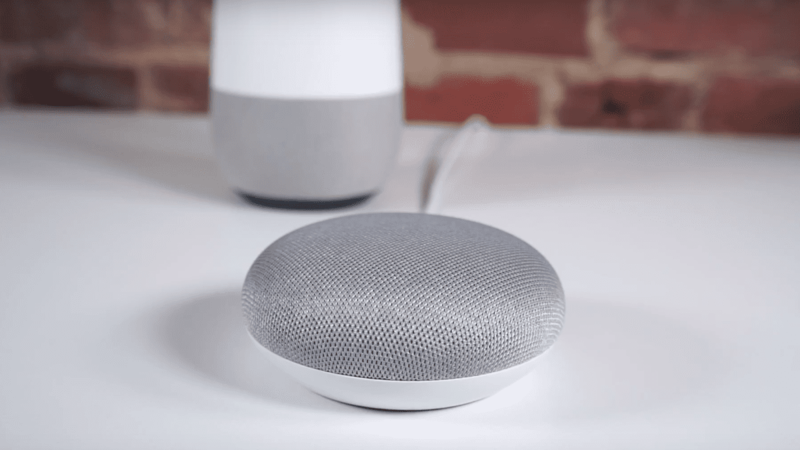 Tuesday, via Android Police, Artem reported that his Google Home Mini had been actively listening to its surroundings 24/7 and even attempting to respond to a television show he was watching. Here is an excerpt from his article. I turned on a TV located not too far from the Mini and attempted to watch a show. I say “attempted” because, during the first 10 minutes, the Mini turned itself on several times a minute, listened to whatever was on the TV, and attempted to respond, usually by saying it did not understand. At some point, it even somehow managed to take over my Spotify stream that was playing in the office and switched it to the bathroom. This is a disconcerting happenstance, to say the least. But was it just an isolated bug affecting his device? Sadly, it does not appear that is the case. Within ten minutes of reporting the issue to the Google Home team, Artem received a response that they were immediately looking into the problem. Google was so serious about addressing the issue that they sent a PR agent to Artem’s home that evening to swap out the device for examination. Less than 24 hours later, Google rolled out a firmware update that supposedly addressed the malfunction. According to the email Artem received, the bug was impacting a small number of Google Home Mini devices. Let’s remember, this product hasn’t been released yet. So, a small number could still represent a large percentage of devices in the wild. The issue appeared to be linked to the Mini’s touch capabilities. Touching either side of the device allows users to adjust the volume settings. Touching the top, above the LEDs however, will play/pause audio, turn off an alarm or if long-pressed, active the Google Assistant. “Phantom” touches were reportedly the culprit resulting in the Mini actively listening almost constantly to its surroundings. In the Google Home support page, the long-press feature was said to be disabled and recommended that users activate the Assistant via the hotword, OK, Google. What looked to be a temporary fix while developers addressed the problem now looks to be permanent. A follow-up article from Android Police’s Corbin Davenport reports the official statement from Google that the top-touch functions of the Google Home Mini are being permanently disabled. We have made the decision to permanently remove all top touch functionality on the Google Home Mini. As before, the best way to control and activate Google Home Mini is through voice, by saying “Ok Google” or “Hey Google,” which is already how most people engage with our Google Home products. This “nerf”, as Artem described it, includes all of the top-touch functions. The volume controls on the side of the Mini remain unaffected. Clearly, this was an urgent issue to Google and the immediate disabling of the function resounds the fact that Google does take their user’s privacy very seriously. It is unfortunate to see the Mini face this type of issue before it even hits the shelves but Google’s proactive response if very reassuring. We will keep a close watch on the Home Mini and Max in the hopes that Google has all of the kinks worked out before they are released to the public in the coming weeks. To address any concerns or questions, the Google Home support page offers 24/7 chat support here.